The theatre at the Sundance Film Festival was packed. I’m sure I wasn’t the only one who felt that NUTS!, the documentary we were about to see, was probably overrated. I feared I’d be soon be squirming in my seat. Yet learning about the life of Dr. J.R. Brinkley, the country physician who discovered a goat testicle impotence cure for men, was anything but boring. Watching the film, I quickly realized it was full of great tips about the sales, marketing and entrepreneurial strategies Brinkley used to achieve success. Within minutes, I was scribbling notes on my program. When I got back to my office, I dove into learning about this fascinating man. Please read all the way to the end. It’s important! NUTS was based on his 1934 biography, Life of a Man. Not only did Dr. Brinkley become a globally-recognized physician, but he was also beloved by the people in his community. Here are the business growth lessons I learned from Dr. Brinkley's life story. 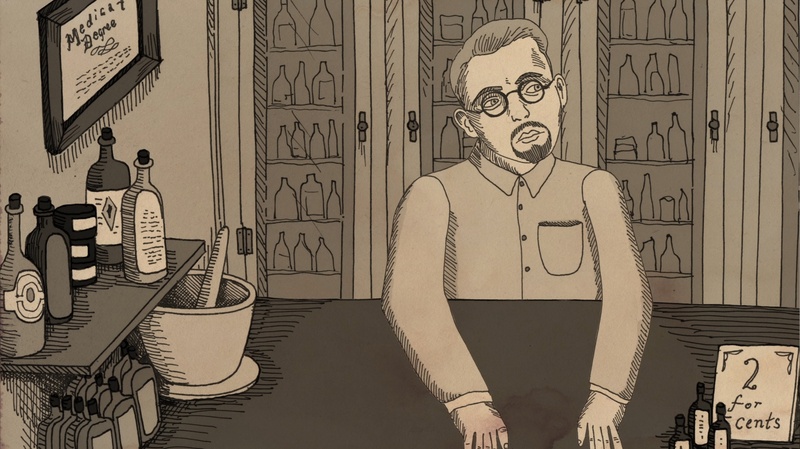 In 1918, shortly after setting up a medical practice in Milford, Kansas, a patient asked Brinkley if he had any cures for someone who was "sexually weak." As they were talking, they noticed a pair of goats "going at it" outside the window. ...which got the good doctor thinking: Perhaps it would work? Maybe he should give it a try? They decided to experiment. It worked! Within a few months, the patient's wife became pregnant. News spread rapidly and before long, Brinkley's discovery was featured in major newspapers across the country. In short order, he was inundated with new patients desperate to restore their virility and fertility. Clearly, he'd discovered an untapped need. But Brinkley didn't stop there. He expanded his experiments and business, looking for other sexual ailments that could also be cured via goat gland transplantation. His clinic and fame grew rapidly. 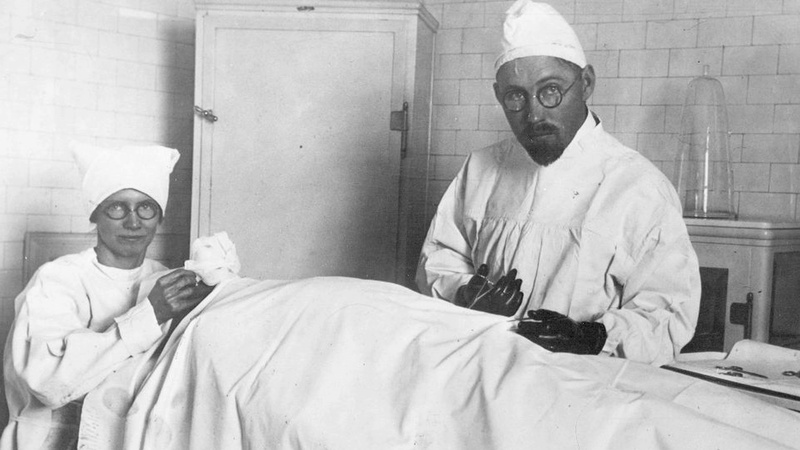 In 1922, the owner of the Los Angeles Times challenged him to conduct the surgery with one of his editors, promising massive PR if it worked (it did!) -- which ultimately got the attention of Hollywood stars. 2. Don't be afraid to brand yourself as an expert. Unlike many small business owners, Brinkley totally understood the value of marketing. Even before he became famous, he leveraged direct mail to drive more business. His slogan focused on turning afflicted men into "The ram that am with every lamb." But more importantly, while visiting L.A., he got the idea to start a radio station which he could leverage to grow his practice. 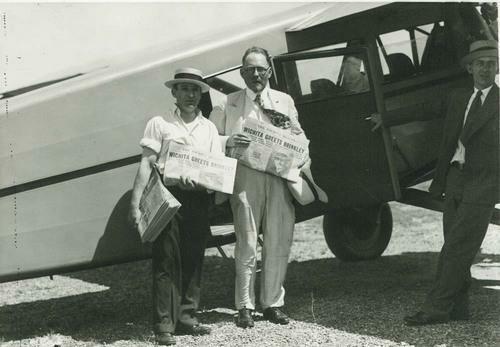 In 1923 he launched KFKB (Kansas First, Kansas Best). He spent hours each day on the radio, talking about his goat cures. He also featured country and gospel musicians, military bands and astrologists—interspersed with advertisements for his growing array of products and services. People loved his banter and folksy chatter. Dr. Brinkley even started a "Medical Question Box" talk show program, where he'd read medical complaints that his listeners sent in and give them doctorly advice. In virtually every case, the recommended treatments were only available at drug stores that were members of his special pharmaceutical association. Of course, he got a percent of the profits. 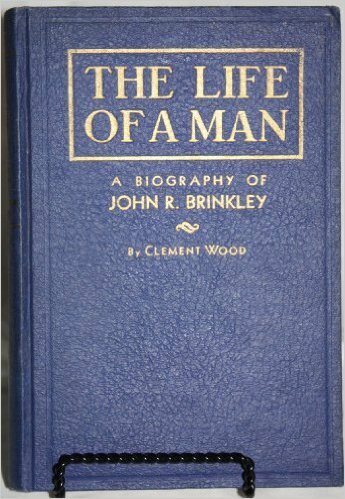 By the late 1920s, Brinkley was a celebrity and making over $1 million/year. The people in Milford loved him. Many worked in his clinic or related businesses. He gave so much back to his town that they even named the town's baseball team after him. 3. Fight for what you believe in. Alll this attention ultimately attracted the attention of the newly formed American Medical Association (AMA). Morris Fishbein, an AMA investigator was assigned to follow up on Brinkley's patients, many of whom were showing up in other doctor's clinics with serious medical problems. In 1930, after the Kansas City Star ran a series of negative articles about Dr. Brinkley, the Kansas Medical Association (KMA) revoked his license. Ticked off, he decided to launch a write-in campaign for Governor of Kansas, a position that enabled him to appoint members to the KMA, so he could regain his medical license. To garner support (and keep his name in public view), he flew his plane to small towns across the state. As a beloved celebrity, he was met with huge crowds. He entertained them first with KFBF's top country music singer, then gave a rousing speech. Brinkley's "little man fighting the establishment" message resonated well with Depression-era voters. As November drew near, it looked like he was going to pull off a major upset—as a write-in candidate! Three days before the election, the Kansas attorney general announced a change for write-in candidates. Their name had to be spelled 100% correctly or votes wouldn't count. How did the governor's race turn out? Between 30-50,000 ballots were thrown out due to incorrect spelling. If they'd counted, Brinkley would have been governor. A rigged system? Absolutely. A mere mortal wouldn't have given up, but not Brinkley. 4. If Plan A doesn't work, move to Plan B, C or D.
Six months after losing his medical license, the Federal Radio Commission (FRC) refused to renew his license for KFKB radio. They cited the fact that it was primarily advertising, that he was broadcasting obscene material, and that he was dispensing medical advice that wasn't in the public's best interest. It was time for a reset. Brinkley and his family moved to Del Rio, Texas where he set up a new clinic. (He'd only been banned in Kansas.) Aided by his recent acquisition—a new radio station located just across the border in Mexico—business continued to prosper. 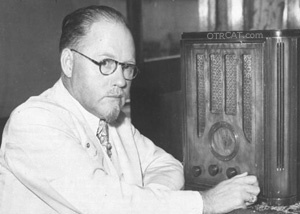 Brinkley now had one of the most powerful radio stations on the planet, enabling him to reach people all across North America. He was raking in millions from his mail-order health products. He opened clinics in other cities. He expanded the types of procedures they did. In short, he was living the high life. It seemed that whatever people did to stop him, Brinkley rose above it and found another way to be successful. I couldn't help but be impressed with his amazing fortitude. 5. If you're living a lie, eventually you get caught. Then, virtually overnight, everything changed. In 1938, the above-mentioned Morris Fishbein published an article called "Modern Medical Charlatans." He asserted that everything Brinkley had done was a lie, that his cures didn't work and his medical credentials were questionable. Brinkley, the esteemed physician and generous benefactor, immediately sued Fishbein for libel. For the first time ever, he ended up in courtroom. At the trial, patient after patient shared stories of failed cures, medical mishaps and total shame in seeking treatment for such embarassing maladies. Chemists provided detailed reports of the composition of his miracle drugs (blue dye and water). It was even revealed that Brinkley's biography (on which NUTS! the film was based), was a sham. He'd paid $5000 to have it written—an exhorbitant amount during the height of the Depression—and given it away profusely. The author crafted the story Brinkley wanted to share—about an incredible innovator from a humble background—that was filled with untruths or omission. Ultimately, Brinkley came to believe his own lies. The jurors decided in Fishbein's favor, declaring that Dr. J.R. Brinkley was a charlatan. A total quack. This verdict led to a flurry of lawsuits from former patients or their families (if deceased). The IRS started investigating him for tax fraud. His new radio station was shut down. The Postal Service came after him for mail fraud. Brinkley died penniless and broke three years later, a well-deserved fate. Nuts: The Movie, by Penny Lane, 2016 Sundance Film Festival, now in theaters. "Brinkley: Quack or Genius," Topeka Capital-Journal, August 2010.